This is a beautiful 500m long pebble/sandy beach. 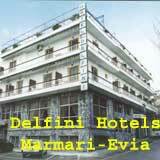 Just a short distance away are many bars, restaurants and a small shopping area with local supermarkets. There are beach chairs and sun loungers which are collected early in the evening and guests are asked to avoid the special egg laying areas of the endangered Kareta Kareta turtle species. Sea sports are available at the beach such as sailing, parasailing and water ski-ing, etc. Car hire, Rent a bike and excursions are also available. The type of beach is sandy with pebbles. 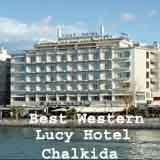 It is located in the resort of Agios Nikolaos. There are various environmental educational facilities together with DETADAN for seminars, lectures, clean up and school visits. You can reach the beach via the stone paths. Agia Anna is one of the most beautiful and well-known beached of the island. It's a rather vast beach consisitng of thick sand and clean, crystalline waters. It is ideal for small children, swimming and waters sports. It is an organized where you will be able to rent sunbeds and umbreallas, while there is also a playground for kid swimmers. Along the seaside road you will be able to find pretty much everything you'll need. 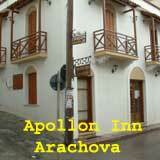 There are some coffee shops, taverns and restaurants as well as shops selling everything you may want to buy. The beach of Agios Georgios is the closest beach to the Chora of Naxos. It is prefered by both the inhabitants og the island and the tourist, in order to have a swim and sunbathe or try some sea sports. Almyros is a sandy beach, extending to 350 meters, where you can try lots of water sports. It would be a good idea to to rent a car or a bike and explore the surrounding area. You cam also find rooms to let, hotels and places to eat. You can access Almyros via wooden ramps available. This is the most frequented and popular beach of Amarinthos. It is a rather vast beach and during the summer lots of visitors come here in order to swim and sunbathe. It is sandy with crystalline waters and ideal for sea sports. There are a few shops and restaurants nearby in case you need anything. This is an urban beach consisting of both sand and pebbles. 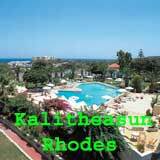 There are also some sport facilities, hotels and rooms to let. It's a relatively small beach with 150 length and 10 meters width. 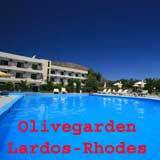 In the surrounding area you will be able to rest under the shade of saline and olive trees. Another relatively small urban beach in Agios Nikolaos, with a length of 350 meters and a width of 15 meters. It is a sandy beach with clear blue waters with several hotels and rooms to rent around it. Ammoudara is a sandy beach located in Agios Nikolaos, as indicated by its name ("ammoudara" means "big sand stretch" in Greek). Its length is approximately 100 meters and it's width up to 10 meters. If you'd like to stay in the area you wil be able to lodge in one of the hotels or rented rooms that can be found in the surrounding area. Another small but charming sandy beach in the general area of Agios Nikolaos, extending to merely 60 meters and stretching to 20 meters. You will be able to swim and sunbathe or just rest under the shade of the pines and eucalyptus trees that surround it. 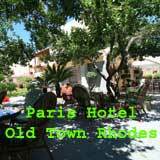 Access to hotels and rented rooms is easy should you decide that would like to stay here and explore the area. Near the beach of Analipsi is a small town of the same name. 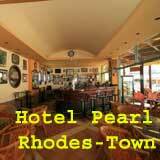 There are several restaurant, rooms to let and hotels. On the rest region there are olive trees and lots of unusual plants such as ceratonia, siliqua , pistacia lentiscus , Pinus spp, thymes ,asphodelus and others. The beach consists of sand and pebbles and extends to 600m with easy access from the main. This is a beautiful vast beach consisting of both sand and pebbles. The waters here are calm, clean and clear. It is ideal for swimming and water sports alike. Right next to the beach there are a few taverns well you will be able to order something delicious to eat or a cool beverage. This beach is situated in front of the Arkadi coast in the municipality of Arkadi. The sandy Arkadi beach is 300m in length and a width of 50m. 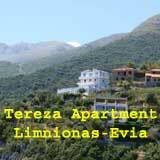 Facilities which are available include sea sports, rent a car, rent a bike and rent bicycles. Around the coast are found the «Blue gum tree» and Cistus bushes. The flora in the nearby areas include the daffodil sea, the fauna seen include the gull and the kestrel. The beach of Ayassos can be found right next to Pitgaki and Sangri. It is a beautiful, sandy beach with shallow crystalline waters. The road leading there is a bit rough and as a result the spot is not easily accessible.In Ayassos there is also a small settlement, where you will be able to find a tavern, in case you happen to feel hungry or thisty during your visit here. This beach can be found on the Damnoni coast in the municipality of Finika, It is a sandy beach with a length of 300m and width of 30m. The facilities which are available on the coast include sea sports, rent-a-car, rent-a-bike and rent bicycles. Around the coast are found the Phoenix theophrasti trees and the Pistacia lentiscus bushes. The flora in the surrounding areas are the Tamarix parviflora, the fauna include the Phalacrocorax and Alcedo atthis. Access to the beach is from the public street. The sandy beach of Driros extends to a length of 176 meters and a width of 10-25 meters. There are a lot of trees (olive trees, palm trees etc) and plants. In the surrounding area there are two hotels and several complexes of apartments and water sports facilities during the summer. The beach is easily accessible by using one stair and a ramp. Beautiful coastal town Edipsos is surrounding by a few realy remarkable beaches. Kanatadika is one of the most picturesques beaches of Edipsos. The waters are clean and clear, the environment surrounding it is beautiful, ideal to keep you here in order to enjoy the sun and relax next to the sea. An equally beautiful beach is Agios Nikolaos. 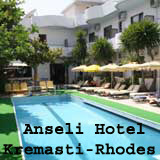 It is rather extended and sandy, located in a lush green environment, ideal for sunbathing and playing in its waters. The sandy beach of Elounda extends to a length of 90 meters and width 8-10 meters. At the beach bar the visitors can enjoy a drink or a light snack. In the surrounding area there are two big hotels, two complexes of apartments and water sports facilities during the summer. The beach is easily accessible by using two stairs and a ramp. The beach of Grotta is located on the north side of the Chora of Naxos, near the port. It’s one of the most prefered beaches in Naxos. The Koubes pebbled beach has a length of 220m and width 40m. Around it there are several hotels and rent room accommodations. Around the coast are found the Blue gum trees and Jerusalem sage bushes. The flora in the nearby areas include the daffodil sea, the fauna seen include the gull and the shallow. 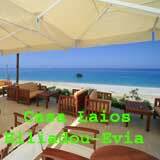 Lianos Kavos beach consists of sand and is located in a particularly beautiful picturesque resort area. When it comes to the facilities regarding the beach area, there are sea sports available as well as rent a car/bike/bicycle facilities. Around the beach area, there are hotels and rooms to rent. The length of ''Lianos Kavos beach'' is 350 meters, whereas its width, 15 meter long. As to how to get to the beach, just follow the New National Road Rethymnon-Heraclion, in the very height of Geropotamous Bridge. The beach in front of the homonymous tourist resort is well enough oganised beach close to Heraklion, it offers good accommodation facilities in hotels and rooms to let, food and drink in the taverns, restaurants and cafes of the village; facilities for swimming, sunbathing (sunbeds, umbrellas etc) and sea sports are also available.Access from Herakleio is very easy by public buses with frequent service and taxi, as well as by private or rented car and motorbikes. 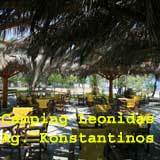 Agios Andrea is the most frequented beach of the general area of Malakontas. It is a rather extended sandy beach, consisting of clear crystalline waters, ideal for sunbathing and fun on the sand. You will have the chance to enjoy a racket ball game or beach volley. Mirabello is a sandy beach located in a beautiful rural resort. There are water sport facilities available as well as car and bikes/bicycle rentals. Also you will be able to find a place to lodge among hotels and rental of rooms. The length of the beach is 500 meters and the width is 5,20 meters, surrounded by a lot of trees (mainly olive and tamarisk trees) and Mediterranean flowers. The way to get to the beach is through paved paths. Situated 10 kilometres far from Heraklion at the West, just a few metres off the National Road to Rethymno, Palaeokastro is a small pebbly beach, rather protected from the strong northern winds of the area. Well organised, it offers some accommodation facilities in small hotels and food and drink at the sea front taverns and restaurants.It is good for swimming and sea sports, especially for snorkelling due to the existing rocks.Access from Heraklion is possible by public bus running regularly, taxi and rented or private cars and motorbikes. This beach can be found in the location of the same name, which was named after the chapel of Panagitsa (Virgin Mary).It can be found next to the little bay of Drosia, it's a rather ectended beach consisting of both sand and pebbles.. Unfortunately you won't find a cafeteria here, but you can get lots of things you may need from a small tent located nearby. From here you can get to the Drosia by car, as it is only 1 kilometer away. Panormo Lake Beach consists of sand and is situated at a particularly picturesque resort area. Facilities that are available on this beach include sea sports and car/bike/bicycle rentals. Around the beach area, there are hotels and rooms to rent. The length of 'Panormo Lake beach' is 300 meters, while its width is 25 meters. As to how to get to the beach, just follow the New National Road Rethymnon-Heraclion, in order to get to the settlement of Panormo. Plaka is another beautiful beach of South Naxos. It is basically a vast sand-stretch extending to more than 4 kilometers and can be found in succession of the wonderful sand-stretch of Agia Anna. It consists of fine sand, while its waters are crystalline as are of course those of the other beaches of the island as well. Alongside the beach you will be able to discover several taverns, cafeterias and bars. 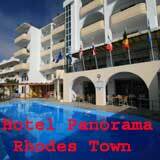 Platanias is situated in front of the Rethymno-Platanias coast in the municipality of Rethymno. This beautiful sandy beach is 200m in length 60m in width. 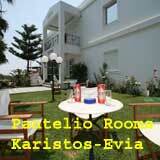 There is an excellent tourist resort that can be found on the coast with hotels and rent rooms. Facilities which are available here include rent a car, rent a bike and rent bicycles. Around the coast there are several tamarisk trees and rosemary bushes. The flora in the nearby areas also includes the spurge sea and the fauna seen includes the gull and the shallow. The sandy coast of Platanias coast extends to a length of 85m and a width of 60m. You will be able to find some lodging facilities in the surrounding area, however there are no other facilities such as water sports due to the fact that the endangered turtle species Caretta Caretta visits this beach each year in order to give birth. You can access it either through the wooden corridors/ramps or via the public street. Poros 1" is a sandy beach located next to a luxury resort on the northeastern coast of the island of Crete. The length of the beach is approximately 200 meters and its width is approximately 100 meters. The nearby natural surroundings consist of seasonal plants and flowers, as well as trees and plants common in the area. Additionally, the beach facilities include water sports. "Poros 2" is a sandy beach located next to a luxury resort on the northeastern coast of the island of Crete. The length of the beach is approximately 500 meters and its width is approximately 200 meters. Its natural surroundings consist of seasonal plants and flowers, as well as other trees and plants common in the area. Additionally, the beach facilities include water sports. This beach can be found on the Scaleta coastline in the municipality of Arkadi on the island. Scaleta is a rather small beach of a length of 250m and width of 30m, it is mainly sandy and also contains pebbles. Along the coastline there are some hotels and rent room accommodations. Other facilities which are available include sea sports and car/bike/motorcycle rentals. Around the coast there are some tamarisk trees offering shade and oleander bushes. Valopoula is one of the most frequented beaches of the area, located near the centre of Drosia village and the beach of Agios Minas. It's a rather long sandy beach with shallow waters and you will definitely enjoy swimming here. It's only disadvantage is perhaps that there isn't a cafeteria or a restaurant nearby. Still you will be able to find a canteen located on the sand, where you can get delicious snacks, water and refreshments.Lots of night people prefer to organize beach parties with guitars here, in the summer evenings under the moonlight.